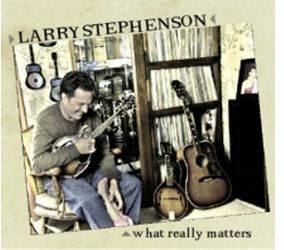 Nashville, TN -- Larry Stephenson, highly regarded as one of bluegrass music’s finest high lead and tenor vocalist, will join Les Butler on Solid Gospel Radio Network this weekend. The show airs Saturday and Sunday, January 17 and 18 from 4-5pm Central and also streams live at SouthernGospel.com or via your smart phone app. Next week, the show will air on Front Porch Fellowship’s affiliated radio stations at various times. 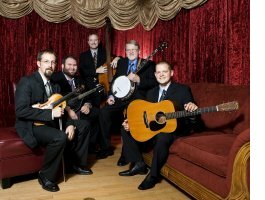 Jonesborough, TN -- The Historic Jonesborough Bluegrass Series will present a bluegrass music double header concert on July 21st with performances by two of the genre's most popular bluegrass artists: Balsam Range and The Larry Stephenson Band. Produced by Mountain Music Entertainment and nestled in Tennessee's oldest town, the Historic Jonesborough Bluegrass Series was recently awarded the NETTA Pinnacle Award. 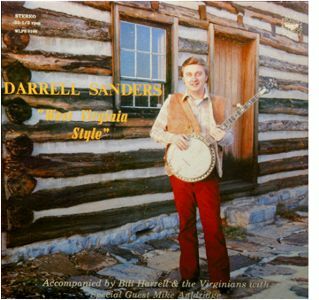 Martinsburg, WV -- Darrell Sanders has announced the CD reissue of his bluegrass music instrumental solo album, "West Virginia Style". Sanders is planning to make the CD available in early June. The album was originally released in 1983 on Webco Records. "West Virginia Style" features Sanders with his then-current band, Bill Harrell and the Virginians (with Bill Harrell on guitar, Larry Stephenson on mandolin, Carl Nelson on fiddle, and Ed Ferris on bass) and special guest Mike Auldridge on dobro.